Need to instantly see the number of incorrect words in your document? Want to create a list of all the misspelled words? Want to see a list of suggestions for those misspelled words? Don't have time to run the Check Spelling dialog? MindSpell Pro is your solution! 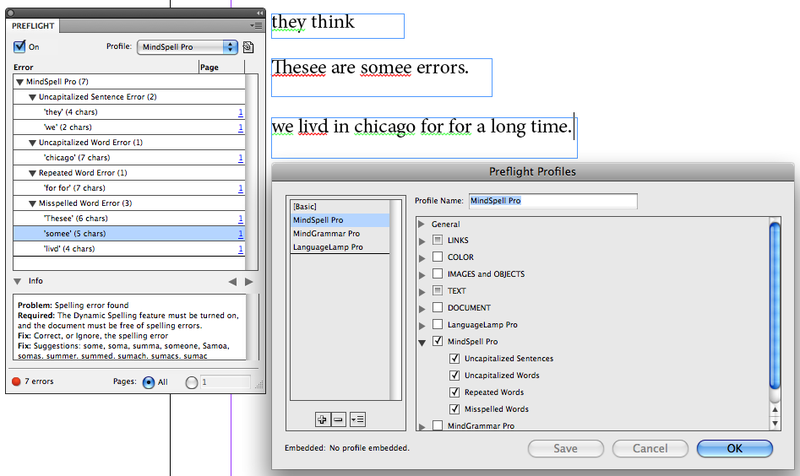 MindSpell Pro is an integrated spelling reporter for Adobe InDesign. Currently it is available for InDesign Creative Suite (CS4-CS6) and Creative Cloud (CC-CC 2019). It contains all the features of MindSpell – a spell checker with support for over 140 languages. Plus the addition of preflighting to identify all spelling errors. MindSpell Pro works with all the spelling services provided by MindSpell standard, and also works with Adobe InDesign's Proximity spelling service, and all other third party spelling solutions. Take advantage of Live Preflight and eliminate unnecessary spelling errors in your document. Here you can see the Preflight panel with the MindSpell Pro profile applied. 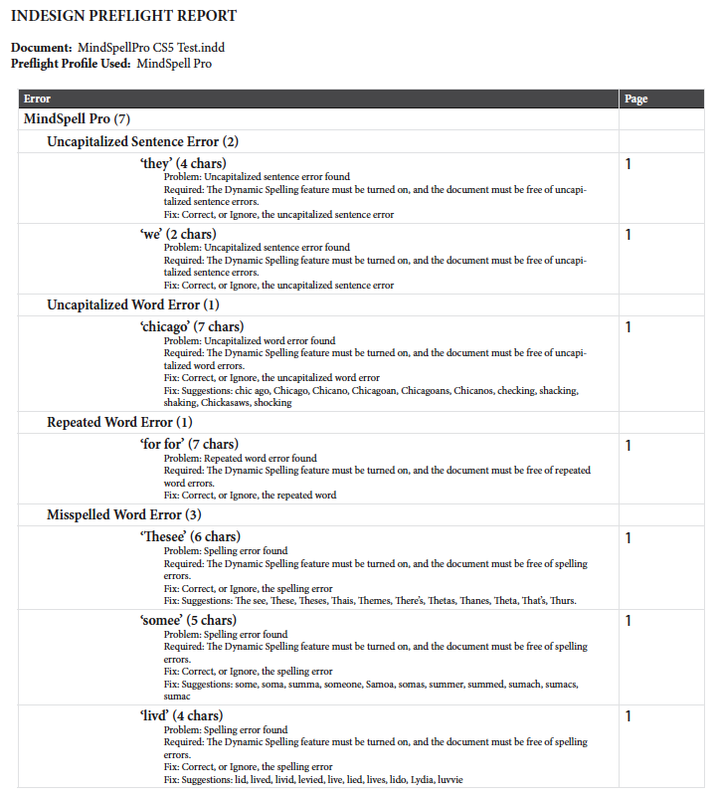 MindSpell Pro also has the ability to generate full spelling error reports for your InDesign documents. Here you can see a portion of the MindSpell Pro preflight report from the above sample text. You can download the full preflight report pdf file here.